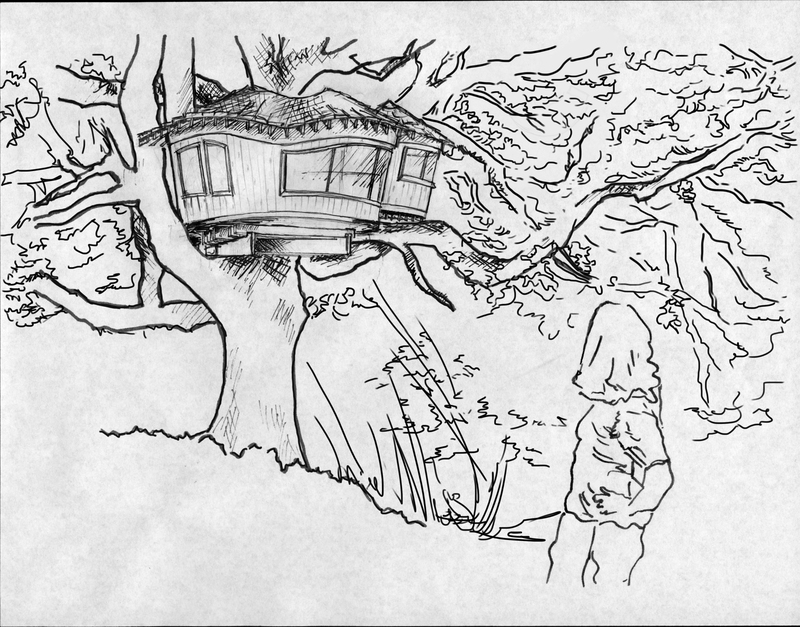 Here’s a sketch of what the Tumtum Treehouse may look like. It’s a bit stylized, but this gives a good idea of what it will look like. Sketch is by the budding young engineer/architect Sarah Belgard. Thanks, Sarah! !